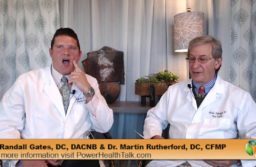 In today’s broadcast will be discussing fasting and it’s effects on intestinal system cell function. This is very exciting information. 1. 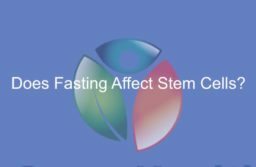 Fasting Activates Fatty Acid Oxidation to Enhance Intestinal Stem Cell Function during Homeostasis and Aging. Mihaylova MM, Cheng CW, Cao AQ, Tripathi S, Mana MD, Bauer-Rowe KE, Abu-Remaileh M, Clavain L, Erdemir A, Lewis CA, Freinkman E, Dickey AS, La Spada AR, Huang Y, Bell GW, Deshpande V, Carmeliet P, Katajisto P, Sabatini DM, Yilmaz ÖH. Cell Stem Cell. 2018 May 3;22(5):769-778.e4. doi: 10.1016/j.stem.2018.04.001. 2. A Fatty Acid Oxidation-Dependent Metabolic Shift Regulates Adult Neural Stem Cell Activity. Knobloch M, Pilz GA, Ghesquière B, Kovacs WJ, Wegleiter T, Moore DL, Hruzova M, Zamboni N, Carmeliet P, Jessberger S.
Cell Rep. 2017 Aug 29;20(9):2144-2155. doi: 10.1016/j.celrep.2017.08.029. 3. Fatty acid import into mitochondria. Biochim Biophys Acta. 2000 Jun 26;1486(1):1-17. Review. 4. Impact of intermittent fasting on health and disease processes. Mattson MP, Longo VD, Harvie M.
Ageing Res Rev. 2017 Oct;39:46-58. doi: 10.1016/j.arr.2016.10.005. Epub 2016 Oct 31. Review. 5. Could Intermittent Energy Restriction and Intermittent Fasting Reduce Rates of Cancer in Obese, Overweight, and Normal-Weight Subjects? A Summary of Evidence. Adv Nutr. 2016 Jul 15;7(4):690-705. doi: 10.3945/an.115.011767. Print 2016 Jul. Review.